When they arrived at the tomb, they noticed the large stone had been rolled away from the entrance, and Jesus’ body was gone. They were told by an angel to go and tell His disciples that He was raised from the dead, but instead they were frightened and went away saying nothing to anyone until, shortly after the Lord made His first appearance since the cross when He came to Mary Magdalene. She then revealed to many that Jesus had returned from the dead, but none believed her. 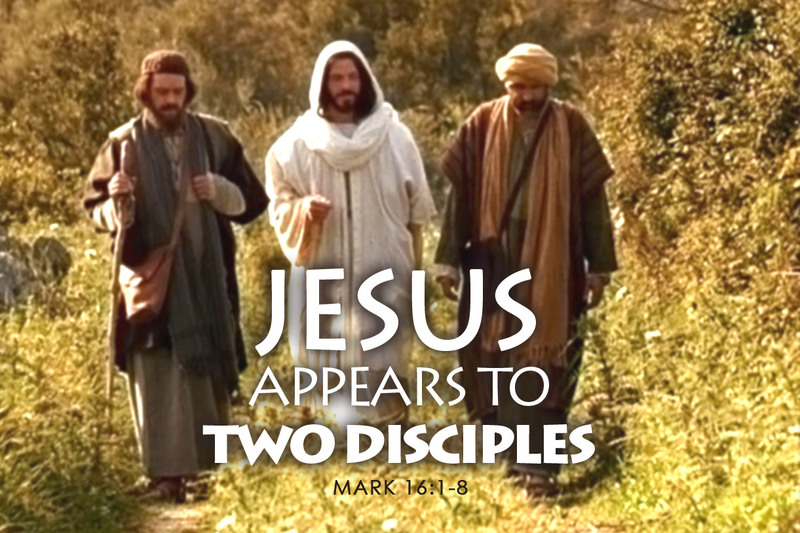 Next, six miles away in a a village called Emmaus, Jesus appeared to two men. One of them was named Cleopas, and he was among those who did not believe Mary Magdalene when she claimed He had come to her in the flesh. Once again, Jesus revealed He had indeed been risen from the dead. When the men returned to Jerusalem, they announced that Christ was alive, but those who heard the news chose to harden their hearts, and they did believe. Are you like those disciples who refused to believe? If you find yourself in such a place where your faith is weak, your ears filter out the truth and your eyes trick you into ignorance, be comforted to know there’s hope. God’s presence can be felt in His word, and in service to Him who gave up His life for us. Then, there’s the hope that’s found in fellowship. Remember, where two or more gather in Jesus’ name, there He will be. Let’s pray!